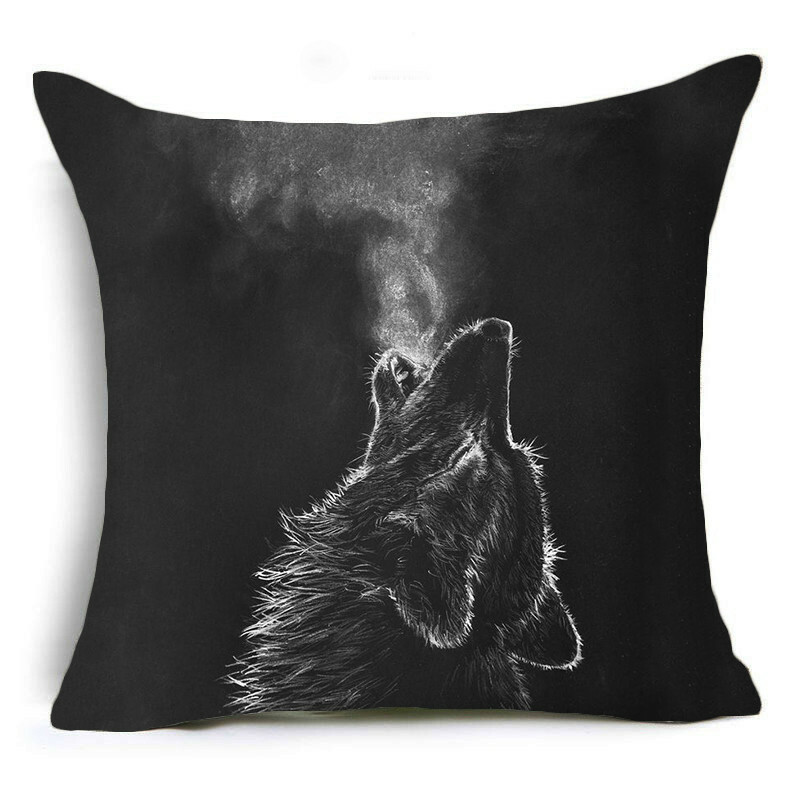 The Night Howl Wolf Pillow has an outstanding graphic of a black Wolf howling on a cold night. You can see his breath. The pillow cover is made of cotton linen and may be removed for hand washing and air drying. It feels silky to the touch. The pillow insert has a high thread count and is made with 100% pure polyester fiber fill. It is non-allergenic and may be machine washed.